S-O-S founder Pete Schmidt is an acknowledged genius at vehicle diagnosis, care, repair and reconstruction. He and technician Bob Hendrickson hold certificates as Master Technicians from the National Institute for Automotive Service Excellence (ASE). BOth also have completed the Enhanced Emissions Workshops of the National Center for Vehicle Emissions Control and Saftey for the Illinois Environmental Protection Agency vehicle Emissions program. You get what you pay for at S-O-S. It’s not the cheapest shop in town but it is the place other shops come to for difficult diagnosis and repair. When a problem is diagnosed correctly and done right in the first place, repeat visits become unnecessary. 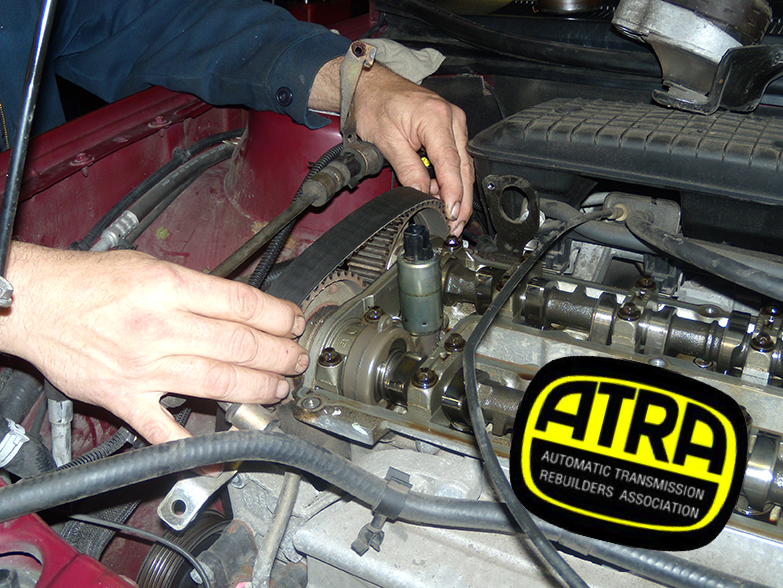 S-O-S offers nationwide ATRA (Automatic Transmission Rebuilders Association) warranties for transmission work and standard warranties for other work. No surprise dealings with companies you aren’t familiar with if we can help it. Pete is proud of his tow truck! You don’t have to stop your life while your vehicle is being taken care of by S-O-S. We usually can provide you a loaner. We’re open 8AM to 6PM. Monday through Friday; 8am through noon Saturday; and by appointment on Sundays. We always open on time and have been known to stay past closing to help customers. Common Transmission Problems We Solve! We’re on the west side of Mannheim Road just north of Lake Street in west suburban Stone Park. Easily Accessible from I-290, the Eisenhower Expressway, and connecting expressways from the west; from Lake Street (Route 20) and from North Avenue. We’re just off the Tri-State Tollway, too, and have drawn customers from far as Wisconsin and Indiana. Pete and Sharon Schmidt founded S-O-S and still operate it as a family business. Here you will find a warm welcome, people that you can trust, ethical and reliable service and reassuring bond of trust. Not easy to find these days but it’s always been the S-O-S way. Will be needed every 30,000 to 90,000 miles, depending on the particular vehicle. The pan will be removed and the contents inspected; a new filter and gasket will be installed, and transmission fluid added as needed. A transmission flush will also be done if required. We also provide transmission services with free telephonic consultation in Chicago. On most vehicles a lit Check Engine Light may indicate a transmission problem. The engine/transmission codes need to be checked using the Factory scanner method, NOT a generic one. Because of the electronic/hydraulic components, it is very important that the vehicle be correctly tested and analyzed. Whatever your transmission, question or concerns is, S-O-S has the skill and know how to properly diagnose your transmission trouble. “Located in Stone Park IL, we offer our transmission services to Chicago and surrounding communities, including Hanover Park, Wood Dale, Lombard, Maywood, Northlake, Melrose Park, Downers Grove, Berkeley, Franklin Park, Elmhurst, Bartlett, Hillside, Bensenville, and Addison.